Jason Amadeo was born and raised in Metairie, LA. He graduated from Archbishop Rummel High School. Following high school, Jason moved to Baton Rouge, Louisiana to attend Louisiana State University. During college, Jason was a member of the LSU cheerleading squad, where he served as captain his senior year. After graduating from LSU with a Bachelor's degree in Kinesiology, Jason was employed by Our Lady of the Lake Hospital in Baton Rouge as a Medical Scribe and worked in the Emergency Department. In January 2009, Jason started Physician Assistant School at Our Lady of the Lake College in Baton Rouge. He graduated with his Master's of Medical Science degree in May 2011. Jason is nationally certified, as well as licensed in the state of Louisiana. He is an active member of the Louisiana Academy of Physician Assistants and the American Academy of Physician Assistants. 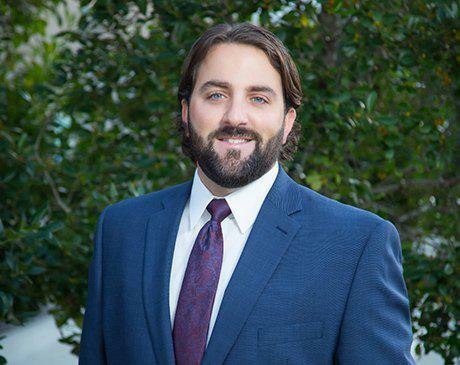 Jason worked in Emergency Medicine at Our Lady of the Lake in Baton Rouge, but relocated to Metairie in 2012, and pursued a career in Orthopedics. Jason has been part of the provider team at Crescent City Orthopedics since January 2012 and serves as a cheerleading coach for his alma mater, Archbishop Rummel High School. He resides in Marerro, Louisiana with his wife and four children.